Gambling with cables can destroy all chance of you having a reference quality system. 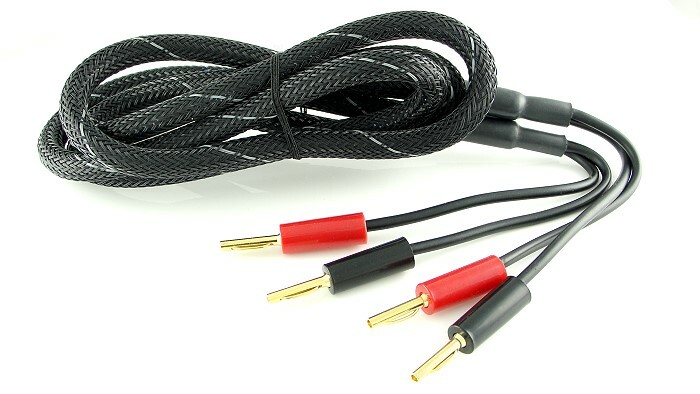 Not that manufacturers make cables that damage your equipment, but quite a few of them play around with dubious sound bending techniques including piezo exciters; power supplies which inject voltages; mixing-in passive components; and attracting airborne interference - and often the plugs lack appropriate shielding. All these things are designed to spice up the sound but are often advertised as being innocent, and it's a multi-million dollar industry. And sometimes they do cause equipment to malfunction. 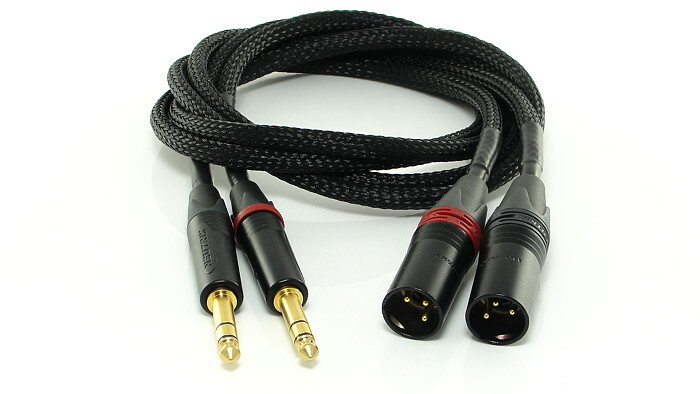 Stereo and mono inter-equipment (unbalanced) interconnect cables with terminations in: RCA/phono plugs - jack plugs - XLRs - USB. 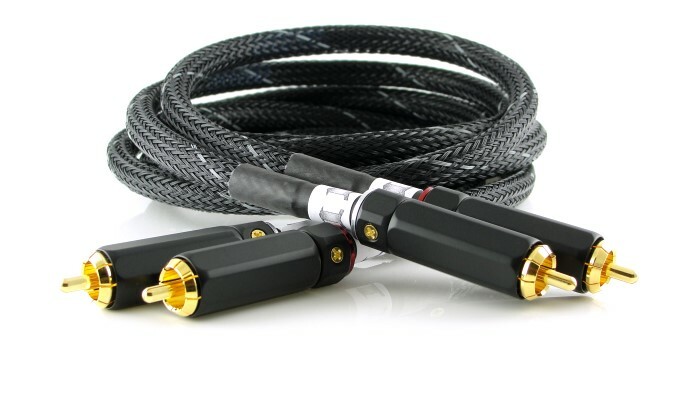 Balanced audio inter-equipment interconnects - TRS jack plugs, XLRs, or a combination. Speaker cables terminated in: 4mm (banana) plugs - 8mm spades. 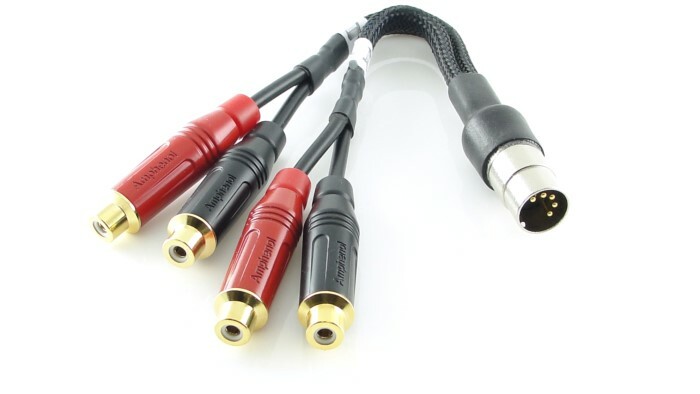 Available in single and stereo pairs in equal or unequal lengths. 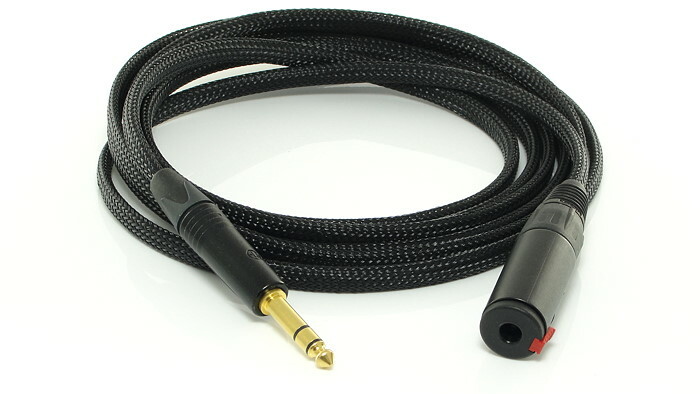 Headphone extension and replacement headphone cables. Adapter and breakout cables to mix and match different connector types including DIN. Inferior wire, shielding, insulation and downright bad design can wreak havoc in an otherwise great sounding system. Having worked for studios we know how to make interconnects and cables the right way. And as those techniques behave so well in the studio, just think how well they'll sound in your hifi system. It makes absolutely no sense at all. Cables don't contain diodes and music isn't DC - it's an ac signal. 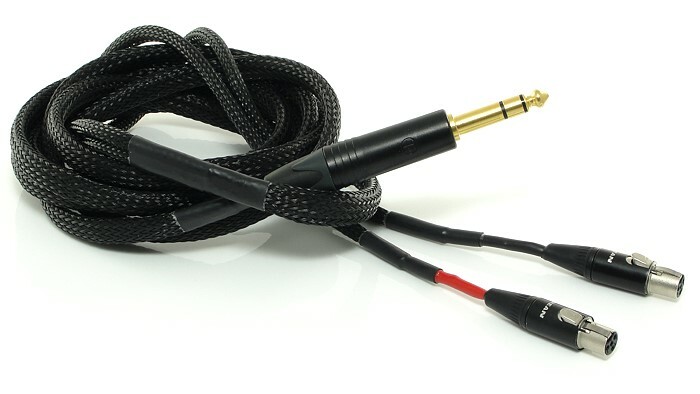 There is nothing scientifically known which says a cable can make better sound in one direction than the other! Yet there are thousands of people who say they can hear a difference. 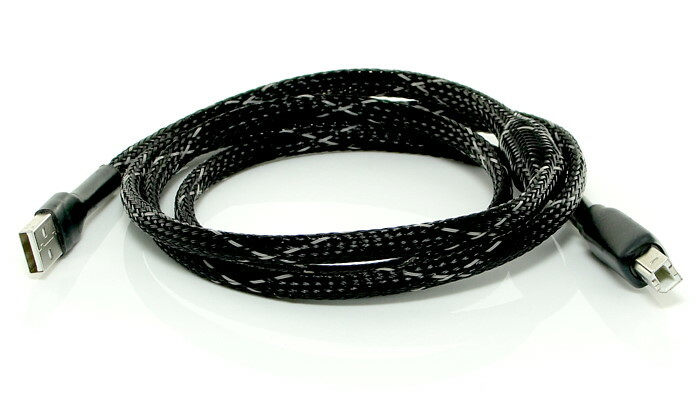 Therefore, we mark our cables in the "run of the mill" - the direction in which the cable is extruded. Try them either way round and hear if you can tell a difference. Can Cables Really Make A Difference? Search the internet and you'll find opposing opinions: those who say cables can make a difference to the sound; and those who say they can't. The debate can become very heated indeed, and online insults are often traded. If all cable was metal wires of a specific type, held apart by nothing, then maybe the naysayers would have it, but conductors are held relative to one another by insulation. Because of proximity there is capacitance, and in a real capacitor the insulation is called the dielectric. Change capacitors from one dielectric to another in an amplifier stage and you can often hear a difference. So could there be a remote possibility that cables using different insulation might sound a little different? 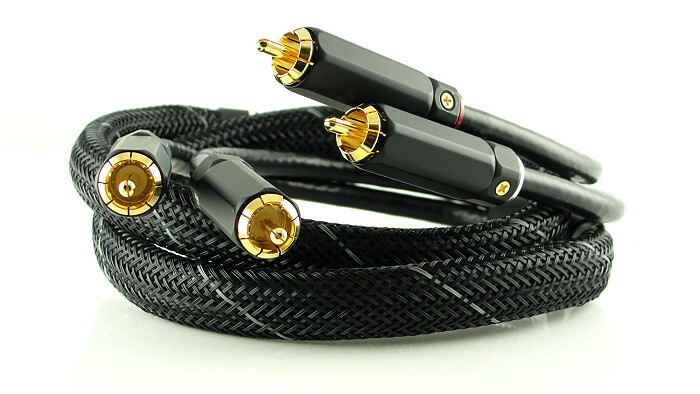 Some in hi-fi argue that an interconnect, without shielding to keep out inteference, sounds better. But is it better? With no shielding (or with a floating shield which isn't connected) interference will be superimposed on the wanted signal. For the large signals you get from such as a CD player, with careful cable positioning, there may be no hum, and as other airborne interference is made up of high frequencies beyond our hearing, no other interference would be heard. But it can have an effect on what is heard, and that is because of a process best known as heterodyning. Heterodyning is a process which takes place in an AM radio tuner where two frequencies are mixed: one being the carrier frequency; the other being an intermediate frequency generated in the tuner. By mixing the two frequencies sum and difference frequencies are produced, the difference frequencies being the audio. Accidental heterodyning is where interference frequencies mix with high harmonics of the audio signal inside an amplifier stage, and new alien frequencies "fall out". It is this which makes an unshielded cable allegedly sound better. It often leads to a "more atmospheric" sound, but the point is that it's different, and different doesn't mean better. If we are concerned with high fidelity - honest reproduction of what we are playing - then obviously anything added is not giving a high fidelity result. That's just one of the 'techniques' used to add coloration. There are more: like passing the wires through piezo electric material (rock with quartz in it). Piezo material vibrates given an electrical stimulus, and a vibrating piece of piezo material produces an electrical signal. Think of quartz crystals used in oscillators. The signal flowing in this type of interconnect causes spurious oscillations to be added to it, and obviously they colour the sound. And when the music stops you obviously cannot hear it doing any of this. 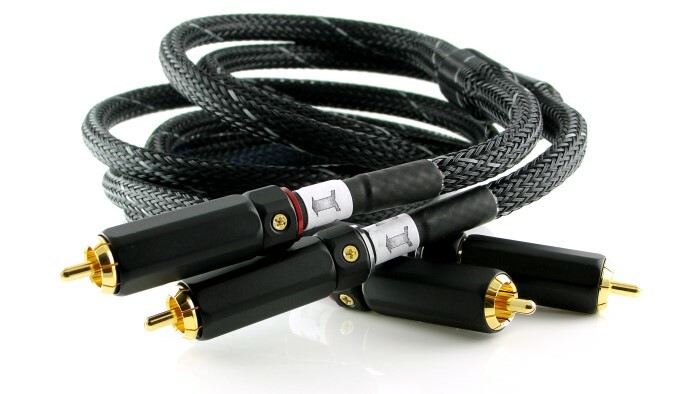 We're sure cable manufacturers of a particular kind will continue to dream up more ways to colour the sound, and some in hi-fi will go into raptures about it, but if you prefer unadulterated sound please try our cables and interconnects. You can try before you buy here.